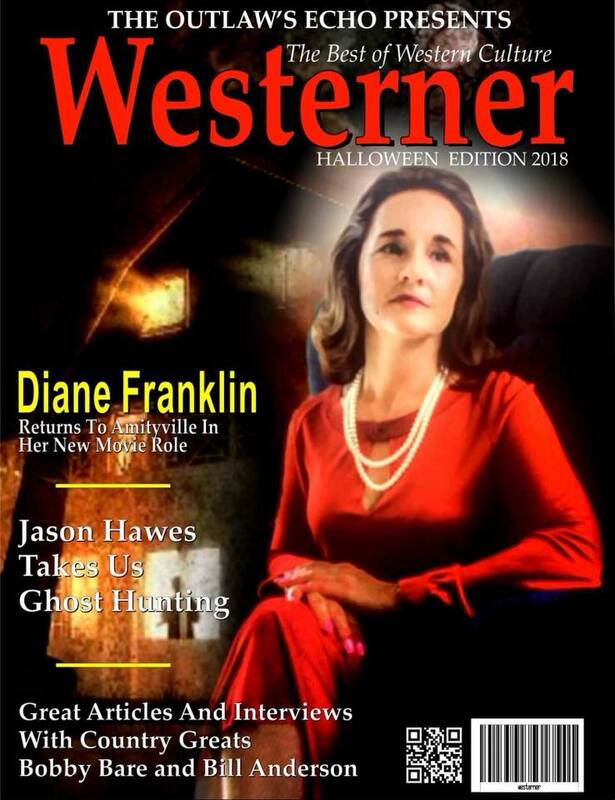 The Halloween Westerner has arrived! A brand new edition of this great free magazine filled with articles, interviews, reviews and books. A sit down talk with Bill Anderson, the whispering country singer. Bill discusses his upcoming tour, record albums and other news. Harvey Cooper, top promotions expert, discusses how the record company has evolved, and how records were sold. From Elvis Presley through to Jose Feliciano he discusses them all. John Florez explains how those great records were made. A top producer for RCA– he knows the business, and the hit sound! Scott Harris, Western hitmaker, discusses how he came to write one of the topselling Western series of 2018. R.G. Yoho discusses his career to date, and the great success he’s had with his Western novels. GP Hutchinson writes an open letter to readers. Hutchinson, who has just completed his latest Western novel, has something to say to you all. G. Michael Vasey brings the horror to life with a deeply disturbing article set to make your Halloween creepy! To download your FREE copy click the button below!